Everybody’s Talking About Jamie On-Line STORE LIMITED EDITION MERCHANDISE SPECIALS! Theatre whilst training: Diana Morales in A Chorus Line. 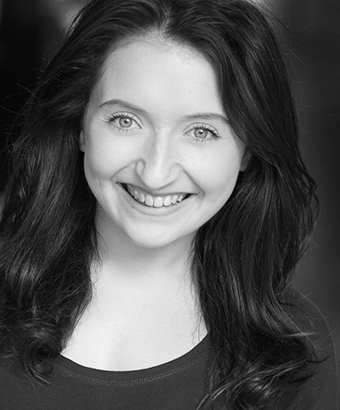 Theatre credits: Ensemble/U/S Dorothy in The Wizard Of Oz (Blackpool Winter Gardens); Acrobat/1st Cover Miss Honey/2nd cover Mrs Wormwood in Matilda (Cambridge Theatre); Mrs Santiago/Cover and played Molly in Ghost (English Theatre, Frankfurt); Ensemble/U/S Lead Vocalist for AIDA; Ensemble in Boy Meets Boy (Jermyn Street Theatre); Dancer in Classical Spectacular (Royal Albert Hall); Miss Rabbit in Fantastic Mr Fox (Regents Park, Open Air Theatre) and Margaret Gormley in Billy Elliot (Original London Cast).